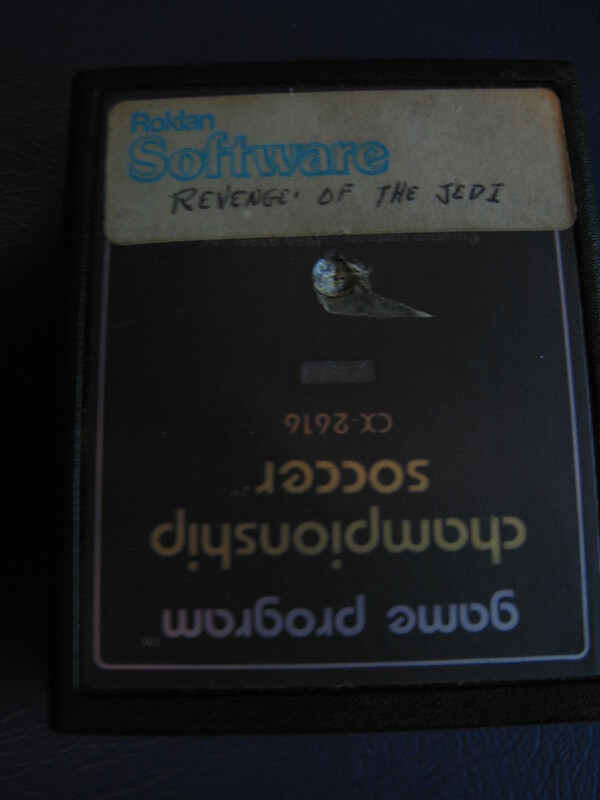 "Revenge of the Jedi" FOUND! I found this and 7 other Prototypes this weekend. I assume that they are all from Roklan as a couple have Roklan stickers. There was also a Condor Attack that was not a prototype with this group! But I was excited to find "Revenge of the Jedi" It does appear to have differences from "Return of the Jedi" that was eventually released. There was also "Racer" in there. They were all tested and work except for one. The slider was not there on one of the games and could not get it to slide into the 2600 without forcing. 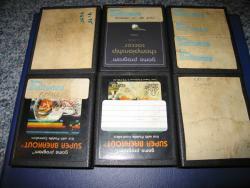 Here is a picture of the others. I will send nicer pics to Matt tomorrow these were taken with my IPHONE. Sorry. Thank you, I was also and still am! I did not have a controller handy so I could not play through the games. I just wanted to make sure they worked. 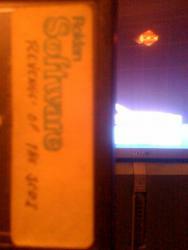 But, I did notice that when the "Revenge of the Jedi" was plugged in to the system and it was turned on. There was no music. Only after you hit the reset did the music start playing. On a regular car when the system is powered up the music starts rightaway. Racer is a whole other story! But I was excited to find "Revenge of the Jedi" It does appear to have differences from "Return of the Jedi" that was eventually released. I wonder what that cart's worth? 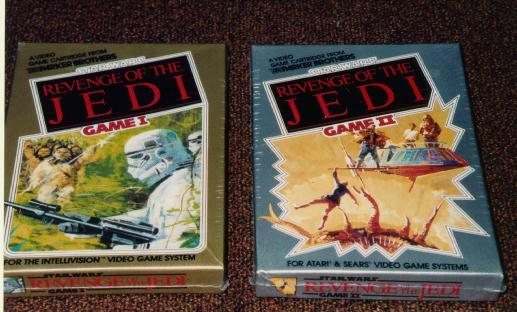 Any Star Wars product bearing the original "Revenge" name is worth quite a bit. Especially if it was in a Parker Bros shell. 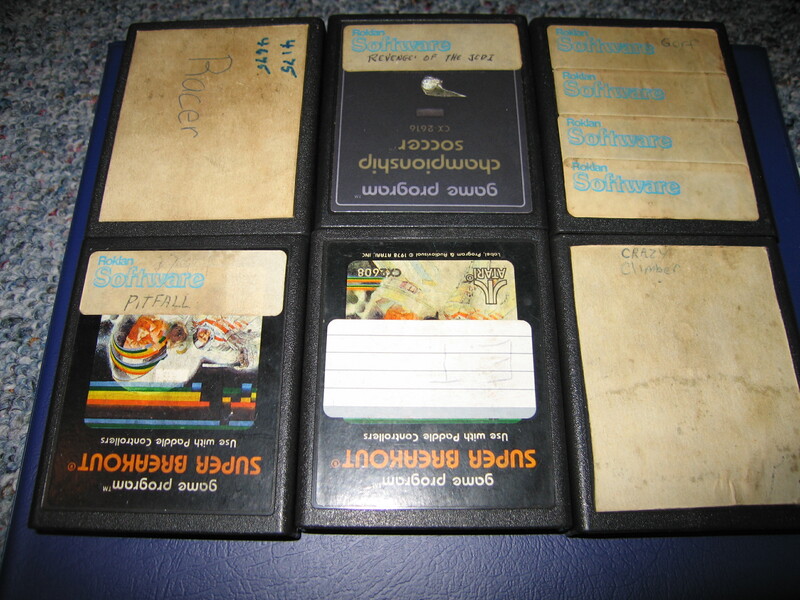 Games were Revenge of the Jedi, Racer, Pitfall, Crazy Climber, Qbert, Gorf, ET, and Centepede or "Sord Quest" centepede was eraced and "sord quest" was written on the lable. The slider is missing so I could not get it in to the System without forcing. I will post better pictures tomorrow. 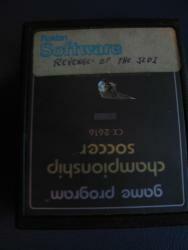 Sorry Revenge is NOT a completly new game just a proto of an existing game but it must have been worked on back when it was refered to as "Revenge" and one I think is pretty important! As to value. There are other people out there that can give a better idea than me. I am curious, but this will not be sold. I am an active collector. I am just happy to keep it from the landfill. It was not far away from ending up there! All of these protos were in standard cases. 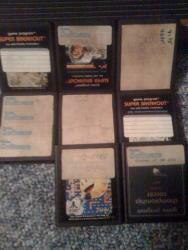 Some had other normal game lables and eprom boards were put inside and then stickers were placed on them. Some had Roklan stickers some had white stickers one had lined sticker. Must have just used what ever they had in house. 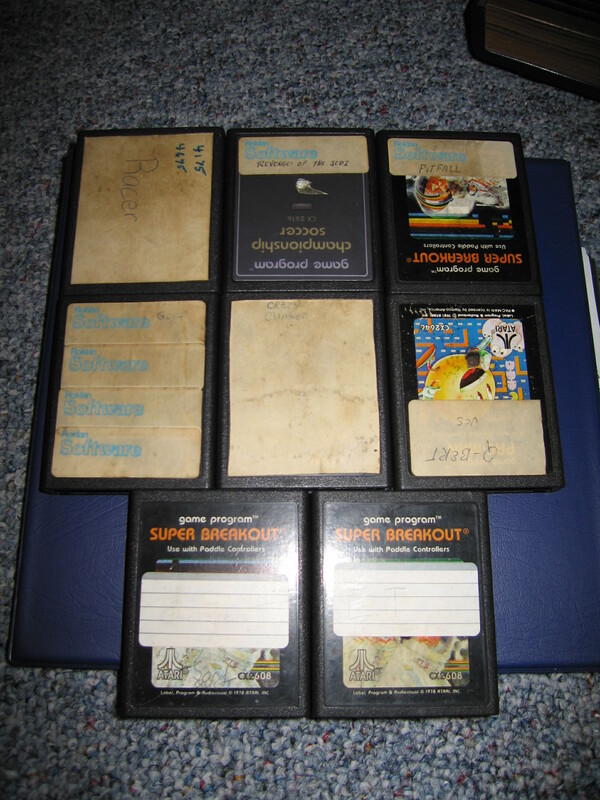 I am still stumped as to why there were activision games and parker Bros. games with games that should be with Roklan games like "Racer and Crazy Climber." I am stumped. Maybe they did some programming on parts of those games. I really do not know. There are people that know much more than I about that stuff. Or maybe they just happen to be together. I just can not believe that. It is too much of a coincidence. It is my belief that they all came from a single sorce. But, like I said I am not the expert on that kind of stuff. Thank you for the congrats. Many years searching went in to this find. One of my best ever! You should write to Star Wars Insider magazine regarding this find. Looking forward to the screenshots. Edited by Rom Hunter, Mon Aug 10, 2009 5:10 AM. I have one video gaming magazine that refers to it as "Revenge of the Jedi". There was the time I found a "World Championship Cart" for $2, but that is a whole other story! OH YEA and it was GOLD! The Computer Space was also I nice find in the background of the picture. 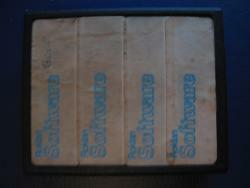 It has the lowest play count known 150 and is in MINT condition. Again another crazy story! Sorry, The picture was too big. I kept the original price sticker on it. I thought it was a nice touch! But seriously, you have some seriously, SERIOUSLY, nice stuff. I thought I knew your name from somewhere Did you get my PM by the way? I did get your PM. I will email you later tonight about that. Those Boxes are NOT part of my collection. Just a picture that I have saved for years with the hopes of someday finding one of those. 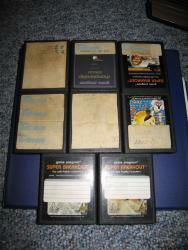 I do not remember where that picture was from, but I think those might have been intellivision boxes. Here are some more Pictures. "Revenge of the Jedi" appears to be "Jedi Arena." There are sound differences. There is NO sound or movement at all at start up. On a standard "Jedi Arena" there seams to be a quick movement of the swords at start up and the music starts playing. On the Prototype the music does not start untill reset is pressed. 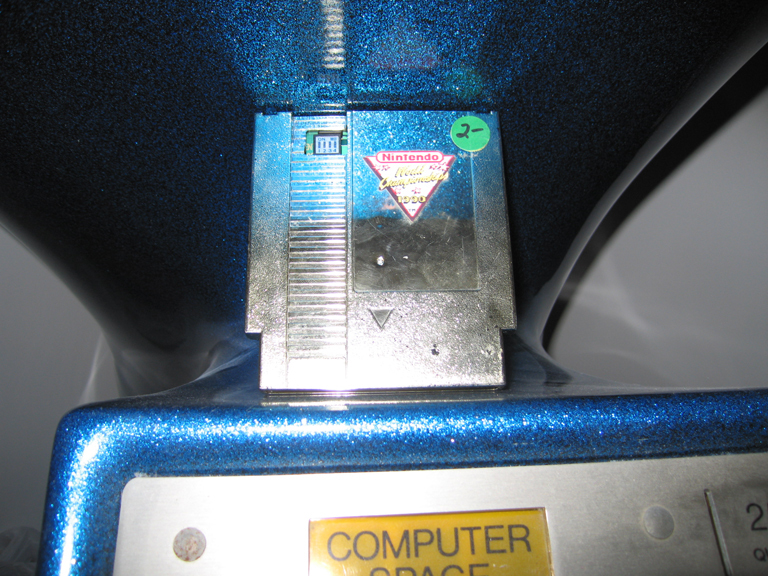 Also on the prototype there is no "Blip" sound when the laser hits the protective wall like on the released version. 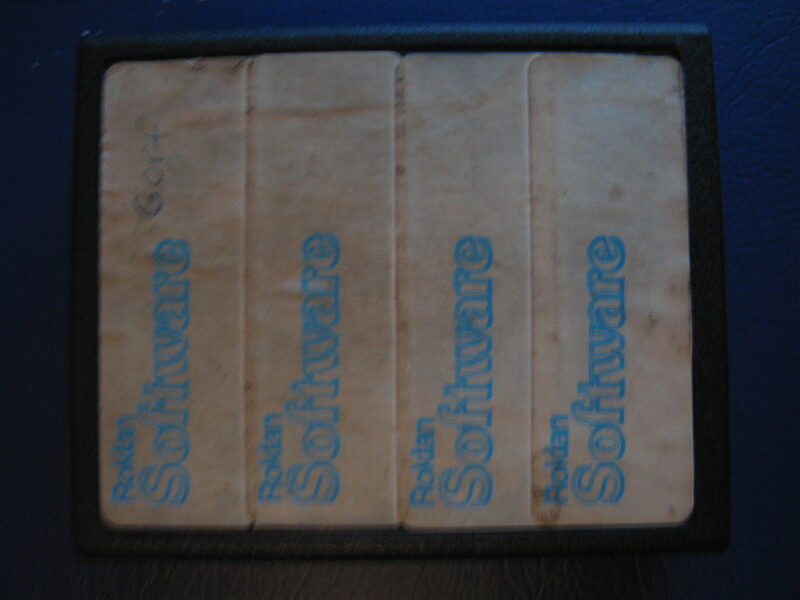 It is in a standard cart case. They all are. The only one that is different is the Centepede/Sord Quest one. That is the one that is missing the slider and I can not get it in without destroying the lable. I tried to take some pictures of the inside of that one.